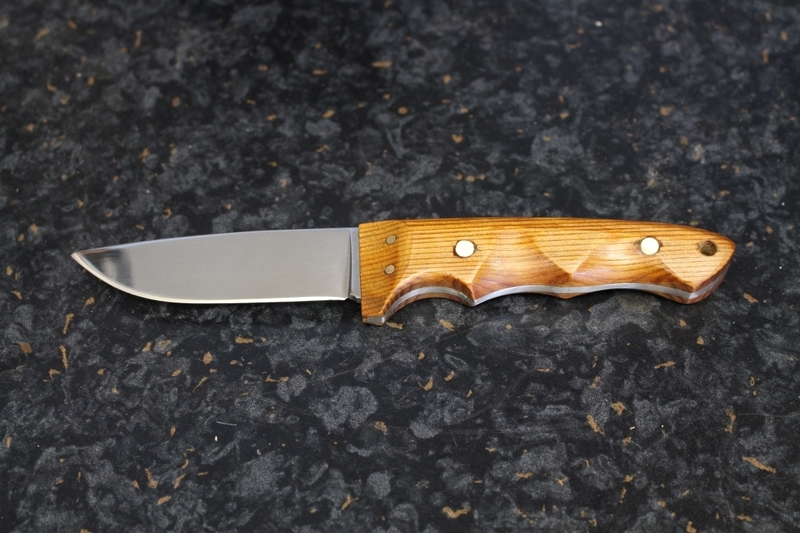 Classic GP Lady Stainless Steel Knife is a small, hand made knife designed as a general purpose blade to fit smaller hands more comfortably than other knives. While designed for a smaller hand it is just as comfortable in larger hands. 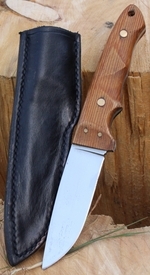 A visually stunning knife with it's deep finger relief. Available in American Cherry and European White Oak scale variants, both variants have sold brass pins.